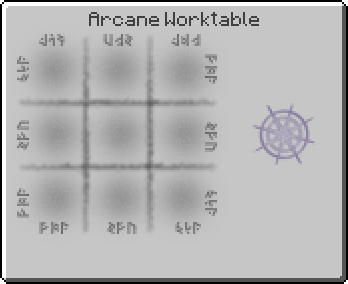 Arcane Lamp is a block added by the Thaumcraft 4 mod. It creates additional light sources which acts like a Torch in the sphere with the radius of 16 blocks centered on it. "This mystical lamp can be attached to walls, floors or ceilings and will provide strong and steady light. Additional sources of light may also appear up to 16 blocks away wherever light levels fall below accepted 'safe' levels. Remember: Only YOU can prevent zombie outbreaks. These secondary sources of light will disappear soon after the lamp has been removed. You are sure additional uses for this lamp will present itself, so remember to check here after making new discoveries. When attached to the base of an arcane bore, the arcane lamp gains an additional ability: It will light up the tunnel that the bore digs." This page was last modified on 18 May 2016, at 16:26.